I want to support you to be loud and proud about the value you bring so that you can serve more people and do well by doing more good. 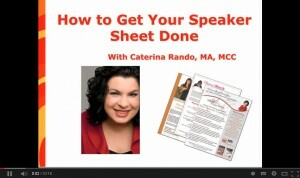 Here is a link to my audio on How to Grow your Business with Your Own Retreats click here to listen. Success comes from the inside out. 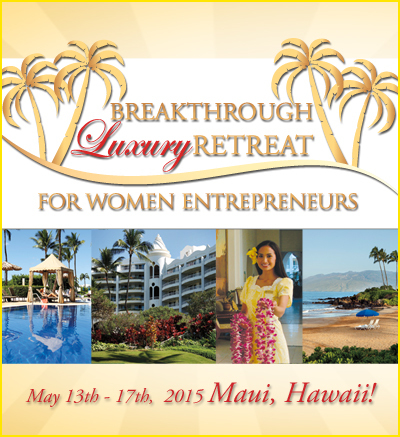 Join me and other ambitious women entrepreneurs for a trip of a lifetime in Maui, Hawaii in 2015. 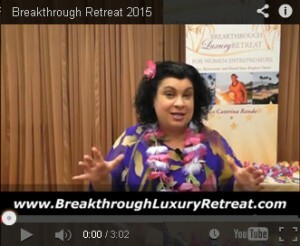 The Hawaiian Breakthrough Luxury Retreat for Women Entrepreneurs will be transformational and support you in rejuvenating, refocusing and revitalizing yourself and your business. Click here for all the details. 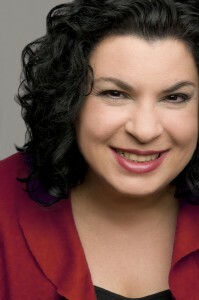 I invite you to join my two awesome groups on Facebook where I post tips almost daily. I look forward to keeping up with you in these Facebook groups.